Of all the equipment in a dental clinic, the dental monitors are one of the most important elements. The crucial function of a dental monitor is its ability to show dentists X-rays and help them make an accurate diagnosis. It is also the tool dentists typically use to show patients their charts, X-rays, and treatment plans. 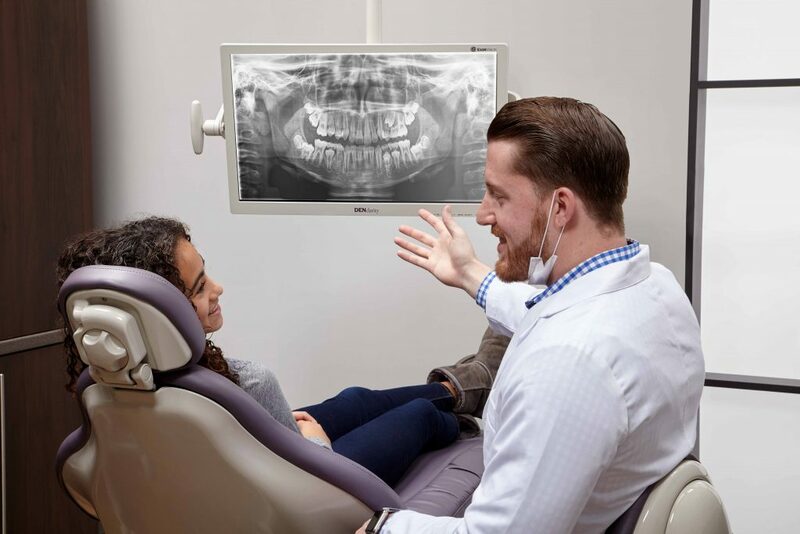 With the accuracy of diagnosis and overall patient satisfaction on the line, it’s essential to consider every angle when choosing the right dental monitors for your practice. To help aid in your decision, we’ve included a list of 10 different things every dental practice should look for when purchasing a dental monitor. 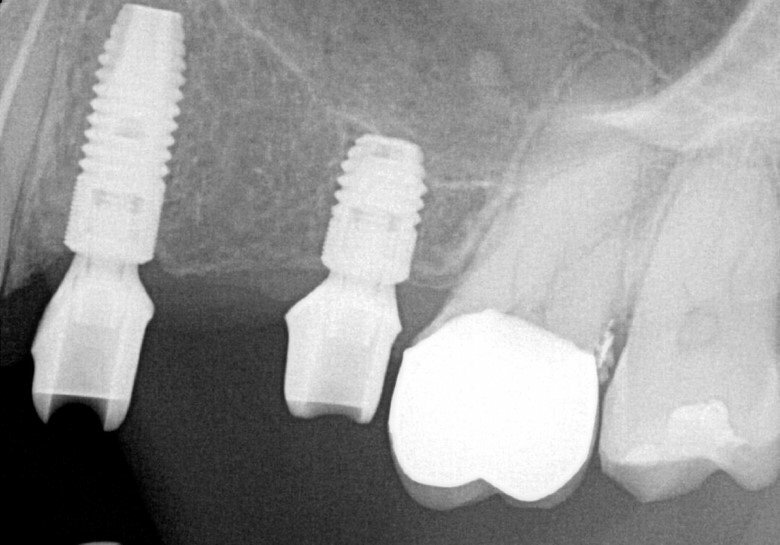 A dental monitor’s brightness level is what helps dentists see details in an X-ray. Without a high level of brightness, distinguishing the fine nuances in X-rays becomes near impossible. To make sure you’re able to see X-rays clearly and accurately, look for a dental monitor with a lumen level of 400 cd/m2 or higher. Lumen is what brightness is measured in. A quality dental monitor should not only function correctly but look professional. This is because every patient who comes through the door will eventually be looking at one of your dental monitors. If the dental monitor is old and out-of-date, it may impact their perception of your practice negatively. The larger the screen size, the more viewing area you have to show patients their charts, X-rays, and treatment plans. Displaying images and charts in one space can help patients understand dental-related concepts quicker and more thoroughly. This could result in a higher treatment plan acceptance rate. 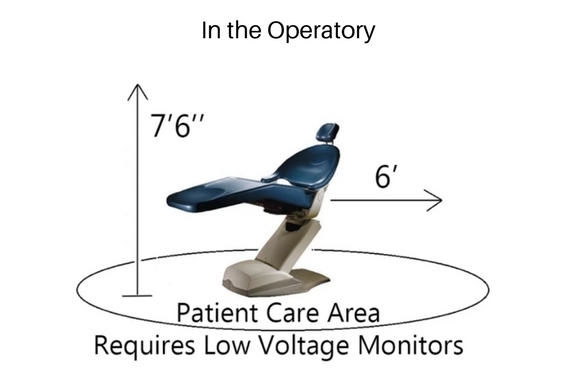 Since dental monitors run on electricity and are often close to the patient chair, it’s important to ensure they meet electrical code regulations for the Patient Care Area (PCA). The PCA is the area of space around the patient. It is defined as 6’ around the chair, and up to 7’6” above the floor. For a monitor to be deemed safe for operatories, it should be low voltage. Many dentists do not think about this until after they purchase their dental monitors. However, because dental monitors are so close to the patient chair, they often pick up water, bacteria, and blood. On one hand, this creates an environment which is potentially harmful to you and your patients. On the other hand, if you spray disinfectant on a dental monitor screen which is not watertight, it could get damaged or begin to take on a yellowing hue from water trapped inside. To avoid both of these issues, always make sure the dental monitors you’re buying have a watertight screen. This way you can spray disinfectant directly on the screen. 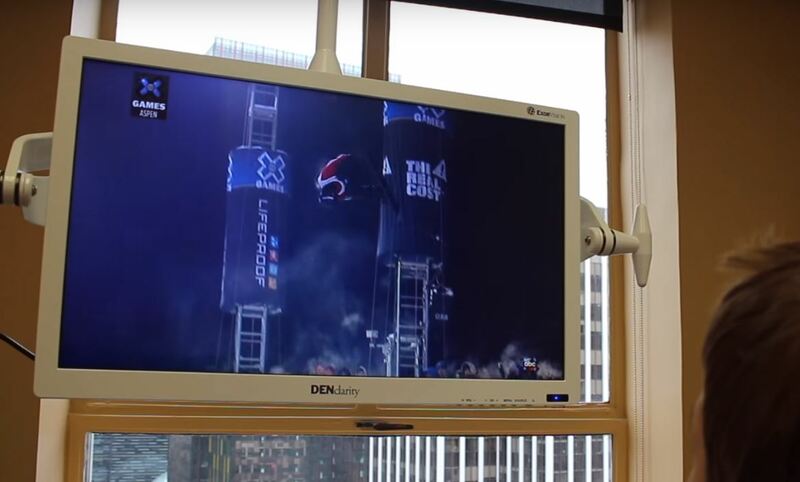 Are the dental monitors you’re looking at mountable? If not, you may want to consider buying one which has a VESA mount. Even if you think you’ll be placing the monitor on a countertop or desk, it’s nice to have the option of mounting capability in case your business needs change. Many dentists overlook this feature. However, it’s incredibly useful for easing a patient’s dental anxiety. Watching a TV program can help patients focus their attention on something other than the dental work being done to them. This is especially effective with young children, as it can help them to feel more comfortable during their appointment. Overall, an HD TV option should increase the chance patients return for their next check-up. A remote control is a time-saver during appointments. It can help you switch between TV programs, patient charts, and other features in a seamless fashion. To ensure your dental monitor purchase goes smoothly, check out the customer service of the company you’re interested in buying from. If the company is responsive and able to answer all of your questions, you’ve found a good company to work with. Consider whether or not a dental monitor is a good value. Look at the overall combination of a monitor’s quality, functionality, sustainability, and price point. Given these criteria, which monitor is the best for your practice? The one dental monitor which meets all of the above criteria is Exorvision, Inc.’s DENclarity dental monitor. High brightness: DENclarity has a lumen level of 440 cd/m2 (a level at which X-rays will appear clear and detailed). Modern, clean aesthetic: DENclarity has sleek edges and a thin backside – an overall timeless design. Large screen size: DENclarity’s screen is 22” x 13.5” x 1.5”. That’s almost 2 ft. of viewing space. Low voltage: DENclarity has a voltage level of 19-volts. This meets the electrical requirements for equipment in the Patient Care Area. 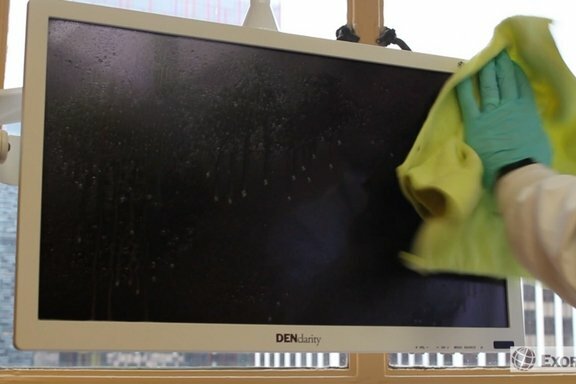 Watertight screen: The screen on DENclarity is completely watertight, meaning you can spray disinfectant directly on it. Mounting capability: DENclarity can be mounted to a stand (sold on their website), track mount, chair mount, ceiling mount, or 12 o’clock cabinetry mount. HD TV option: DENclarity has an HD TV option, allowing you to show patients TV programs to help reduce any dental anxiety. Remote control: Every DENclarity dental monitor comes with a remote control. Company’s customer service: Exorvision has a detailed FAQ page on their website, as well as a troubleshooting guide. If you’d like to contact them, their email is info@exorvision.com. 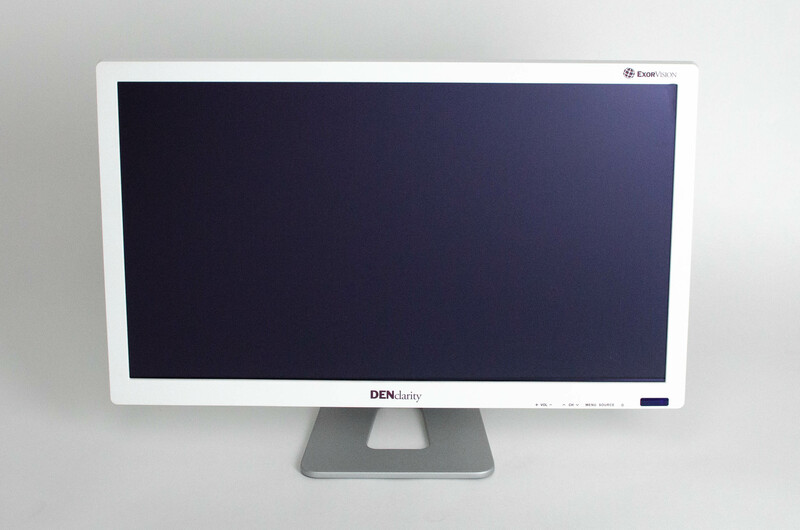 Good value: A 24” DENclarity dental monitor is $650. This is much more affordable than dental monitors from companies like Barco and Eizo. DENclarity also comes with a 3-year warranty. Learn more about the DENclarity dental monitor here.